As I read the newspaper this Sunday, my eyes shone with excitement! It was that time of the year every woman looks forward to! It was raining discounts everywhere! I gave Mr. Hubby a sweet (you are so sweet, now get my work done) look and immediately he sensed danger to his plans of a lazy afternoon watching IPL. “There’s a discount at my favorite store…lets go before the stocks vanish” I said. “Ya! Coz you always buy on impulse, whereas we men are smart buyers. We buy for utility.”Mr. Hubby clarified. Phew! The end of season discount came once in the season, and he meant impulse? No matter how much we are blamed for our tantrums and impulsive indulgences, shopping remains a woman’s forte. Men may think they are smarter, but there’s a lot women manage than just shopping. · All of us have grown up watching our moms doing the grocery shopping. After call, can men bargain and pester shopkeepers to give up like the way we women do? · While men find the idea of our browsing the market funny, it’s here we score more than them. Till we met, Mr. Hubby’s shopping habit was about flocking to one store and picking up all the things then and there without exploring the market. Then I arrived in his life and my survey of the market before making the actual purchase did show some positive change in his credit card bills. · Don’t confuse our frequent shopping trips with extravagance. We know what to buy from where and at the right time. So, unless the combination doesn’t get right, we carry out the market survey (window shopping) diligently! · We believe in genuine word of mouth feedbacks. So while men think we waste time discussing clothes and jewellery with each other or on online forums, the truth is, we shop only after taking honest feedback on where to get the best and the cheapest product. · Just like men remember stock price fluctuations at the back of their mind, we women keep abreast of price fluctuations in commodities. After all, being the home minister calls for responsibility! · While men waste the time on internet browsing..err..a lot of timepass things, we women never fail to scan all the online offers and discount coupon sites and cherry pick the ones that get us the best deal! · Men find it funny when we pile our shopping carts with things of no use to us in the present, but don’t underestimate the power of a woman! We specialize in demand forecasting and planning! So, while you think that black shrug is a waste of money, we may team it up with various dresses to give a new look without burning a hole in men’s pockets! Or the woolens picked from the end of season sale might come in cheap and handy in chilly winters. After sometime, I realized the smartness goes beyond the usual shopping for, after hearing my arguments, a visibly convinced Mr. Hubby began to get ready for the shopping session. Not only are women smart shoppers, but they also make for smart trainers! From a classy artifact to a kewl (funky) wall poster, a colorful recliner to jazz up your décor to an elegant sofa set to bring in sophistication to your space, smart kitchen essentials to make cooking fun to ritzy garden furniture to show off your style quotient, FabFurnish.com has got just almost anything and everything that you'd require to make your home a wow-worthy, pleasant haven to live in. So, if you are looking for that statement buy, that adds personality, style and elegance to your home, head to FabFurnish.com! 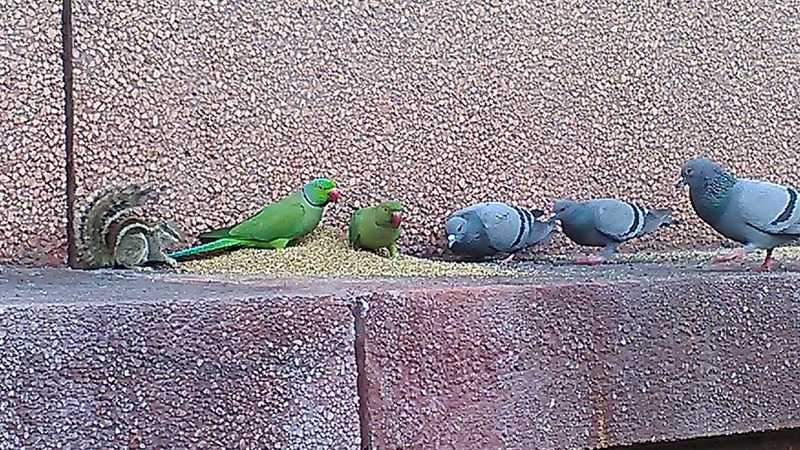 I was on a short walk after lunch today when these lovely little someones caught my attention. In election time when most people are trying to cash in on common backgrounds, cities and a lot of things that really don't make sense, here were these cuties, who only knew the language of love. Enjoying the spread without any frown at the presence of opposition, they would make for a shutterbug's treat. Ask them, who do they support, they would all sing in chorus...Bajra Party! The preparations were in full swing for Rani’s marriage. Everything was perfect – the clothes, the look, the gifts. Raja had even bought a new house and Rani was excited to decorate the house…their house. They say, unlike poles attract each other. Raja the shy, practical guy. Rani, the dreamer whose wishlist would never end. While Rani was loving everything about the feeling of belonging, there was one thing that bothered her. 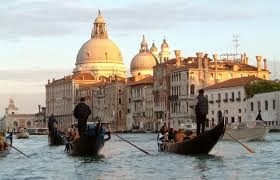 Since she had seen the romantic Venice in movies, she had secretly desired of a honeymoon in Venice. She had mentioned it to Raja as well, but being the practical and responsible guy, he told her they would rather spend on the house than splurging on an expensive foreign holiday. “What foreign honeymoon. He says we have to save money right now. Why are these foreign tours so expensive?” Rani grumbled. She opened her phone and showed Rani the Skyscanner App. The next 2 hours Jiya helped Rani use Skyscanner to make her dream trip come true. After taking their preferred travel dates, skyscanner got them the cheapest flight tickets. Rani was impressed to see that she could even create a best price alert on Skyscanner! Next it was time to book the hotels. The skyscanner app gave her a list of best hotel deals from various websites. “It’s a steal, for a place like Venice”, she said as she booked a hotel for Rs 15000 per night. “But how did you manage?” Raja was puzzled. “Oh, with Scyscanner, you get the best of the best deals. Hotel, travel all done! And within budget! Rani was all smiles, she had dared to chase her dream, thanks to Scyscanner. This post is written for Travel smart with Skyscanner contest by Indiblogger and Skyscanner. Skyscanner has revolutionized budget travel! Choice of best deals from across websites, alert for best price and many other unique features, Skyscanner will help you become a smart traveller! India has a new Prime Minister. But it is Siddhartha Tagore, the product of his genius or of his dangerous mind? India is on edge as a subversive internal revolt against the Constitution, and the threat of Jehadi terror of an unthinkable level, are looming on the horizon. 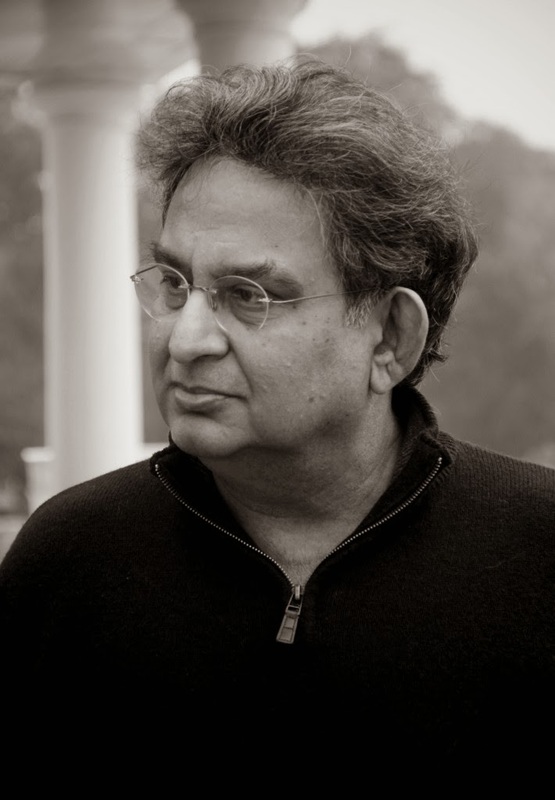 Ringing Shiva’s damaru in and out of Parliament, a sudden turn of karma catapults outsider Siddartha Tagore – a conflicted genius, music maestro and prodigal son, with forceful views on China and Pakistan – into national prominence as the head of the Opposition Alliance and finally as the newly elected Prime Minister of disturbed nation. But buried secrets are being resurrected and threaten to expose the past. Twisted within the double helix of menacing politics and hidden lust, Prisoner, Jailor, Prime Minister is a scorching account of Siddhartha Tagore’s fascinating journey from Harvard to 7 Race Course Road. I am not a big fan of political thriller, but considering the recent political drama taking place in India, the plot seemed interesting. The grand Rashtrapati Bhawan on the back cover, the front cover hinting shades of grey and the somewhat mysterious title with the words “Prime Minister”….I had to kill the curiosity! 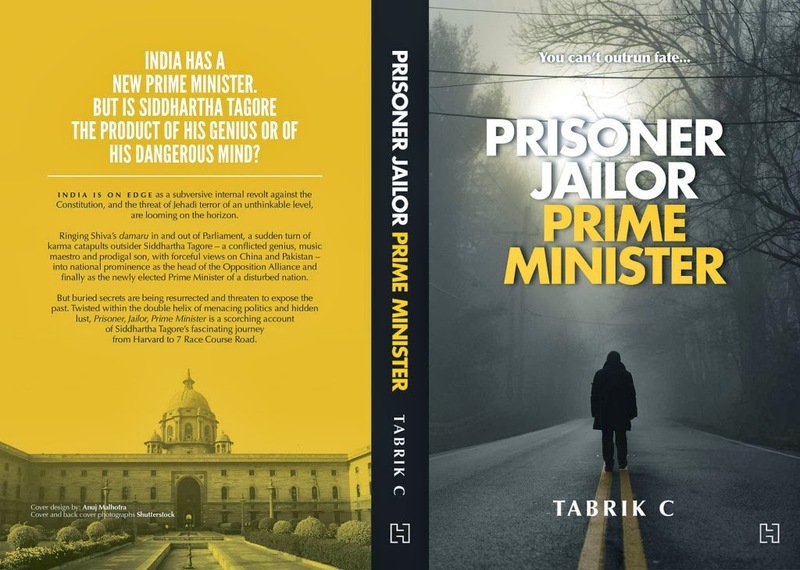 Prisoner jailor Prime Minister is the story of Siddartha Tagore – a guy with the melody of Mozart, the madness of a control freak and the heart of gold. Over 2 parts and a whopping 79 chapters, the author takes us through Siddartha’s journey from the Harvard to 7 Race Course Road. I must admit the first few chapters couldn’t hold my interest much, but once the story got on track, I was glued till the end. Siddartha, a simple Bengali boy with music in his DNA, goes to Harvard to major in politics and music. Lost in the world of symphonies, the Harvard fun and occasional bouts of madness, he discovers his first love, Rubaya. Symphony of love begins to play in his lonely life when suddenly, the death of his politico father turns his life upside down. The chapters alternate between his good old days at the Harvard and the dirty game of politics back home. But Siddartha does it all with passion – from wooing his lady love to playing the game of power. Yet, the music maestro inside never dies, and when he becomes the Prime Minister, the walls of 7 Race Course Road witness the magic of his Yamaha every night. I loved the frequent mention of symphonies by the author to explain different moods of the protagonist. But there are some strands loose that come back from the past and change his life forever, and that’s when the reader gets eager to flip the next page. The sudden storm of emotions and politics challenge his present. Yet, the maestro knows his job well, and so does his progeny. While the book is well seasoned with emotions and drama, at some places the story could have been more practical. The young PM riding a Harley on Delhi roads at night, sans security cover was a lot to chew! At times I couldn’t control my laughter wondering, “Does it ever happen to a PM of a country?” But, considering it’s the author’s debut novel and a bold attempt at managing a political thriller, one can hope for more finishing in his next book. In case politics interests you, I would recommend this for sure. “What went wrong between us? Why the breakup?” I asked as I saw them bidding goodbye one by one. They were leaving me, one by one, each day…and all I could do was to look at the helpless me, incomplete without them! I thought you would never leave me! We were best friends! But the next one too made a sad face and left without an explanation. My hair - my friends! They had chosen to accompany the comb rather than my head! Since childhood, we had been the best of friends. Sand, mud and rolly polly…they were a part of all my mischiefs! When mom came to catch me, and all friends escaped, they were still there…facing ma’s ire as she pulled them in punishment & I cried in pain! The school days! Learning discipline with me were them – tied neatly in braids, giving me the sincere scholar look! After a day of discipline and regime, we would unwind in evenings, when I would ride the cycle and they would enjoy the paglee pawan (wind!) singing to them! At night used to be pampering time, when mom poured her love in the oil massage and comb to keep them healthy! As I grew up, they too decided to follow suit! Then came college and they became my crowning glory. Variety was the buzzword…they gave me a new look every day…pony, bun, puff or simply loose, they knew how to grab the eyeballs! Together, we discovered new colours of life…burgundy, blonde even brown, whatever the experiment was, they participated without a frown! Those drives on his bike, oh, how they enjoyed the freedom and wind! On my wedding day, they decided it was time to look the best. The perfect colour and the style…I still remember that look in his eyes! “Perhaps I have been harsh on them” I thought. Unable to take it anymore, they were falling one by one. How I wished good times were back! They would give me a new look at work every day without fear of damage! Together, we would colour every party with happiness and beauty…sans the fear of harm by chemical colours. We would play the braid game…without any loss in volume! Wish they could revive the romance, with him playing with my hair just like our courtship days! Wish…my hair, my friends would stay and together, we could enjoy, experiment and play! With this, she introduced me to the new Dove Hair therapy range…and hair care is now actually a child’s play…thanks to Dove! It’s all about loving your blog buddies! I am usually lazy when it comes to blog prompts, but this prompt had me hooked on totally! The reason – It’s all about loving your blog buddies! I have made some amazing friends in the blogosphere in the last 2 years. It’s a very special kind of a bonding – we might have never met, but here, in this virtual world, we share the same passion! We share happiness when a blog buddy wins accolades for a job well done; while we always keep the shoulder ready when one of us cribs about the lack of time or the challenges faced in a tough environment. So, today, I shower my blog love on a very special blog buddy of mine – Manjulika of Pendown. She was my saviour at my first blogger meet and there has been no looking back since then! Apart from being the gem of a person, Manjulika is also a voracious reader. Her blog boasts of more than 100 book reviews! As she often tells me, she doesn’t do a review or write a post unless she doesn’t feel something about it. That gets her credibility quotient high! You will find her blog oozing with book reviews where she puts her heart and soul in giving us the true opinion about the book, sans the spoilers. She happily awards smileys to the books reviewed. A telecom engineer by profession, the lady also loves being a globetrotter, thanks to her patidev’s job. In the last 2 years, she has travelled to a whopping eight countries! Of course, being a blogger, this gives an added advantage since she has done some fabulous travelogues. I loved these posts of hers for her extensive and frank portrayal that help one prepare himself before heading for that place. Her coverage about Riyadh is fun to read…she told me she had to wear Burqa at the airport itself and couldn’t even pose hand in hand for a pic with her hubby! When she is not busy with book reviews and globetrotting, the lady loves to play with colors on canvas! I sometimes wonder how she manages so many acts together…and often she is the one asking me the same. Did I tell you we share the same Birthday? I know after this shower of blog love for Manjulika, you would wanna hop on straight to her blog! "A spouse can never be your best friend", she grumbled as she looked at the newspaper ad, for he would never approve of it. They met in college, fell in love and dreamt together of success & bliss, but marriage showed them a different world -writing was lost behind household chores,in laws' demands for baby making & responsibilities of an Indian wife. "This is a golden chance - an overseas internship with a prestigious magazine; I know he would have applied, but nobody will let me." The doorbell rang, it was in his hand - the admission form, "so he is leaving me behind", she sighed. Just then he showed to her, the 2nd form and said "I am your friend first & then husband, and it is a dream we both saw and will realize together!" In this one of a kind book, Priyanka Sinha Jha looks at eleven luminaries from Bollywood, and the attribute that is perhaps most responsible for their success. She details their stories, their struggles, their efforts to overcome setbacks, and what it is about them that made them not just reach the top of their game, but stay there. I have been a prey of the Bollywood bug since childhood. While my parents wondered how I could memorize all things filmy (and complain memory loss during exams!!! ), Mr. Hubby and mom in law have conferred to me the title of “the great filmy Wikipedia”! Needless to say, I am the first one they look upto to validate who’s the name behind a particular song, history and geography of a particular actor, who’s hitched/dating/rumored to be dating whom etc. etc. While the KBC seasons were on, my mom in law had instructed everyone in the family “In case you get selected and face a question on Hindi movies, opt for Phone a friend lifeline, and call Shaivi”. So, you can understand my excitement when Tales Pensieve sent a book on “Bollywood Superstars” for review. Knowing so much myself about Bollywood, I was curious to know the stuff that I donno yet! And Priyanka’s book lived upto my expectations. To call this book a compilation of masala incidents from the celluloid would be denying the author the due credit of her hard work. For, the book is much more than that. We all love to gossip about the Bollywood stars, most of it being fragments of someone’s imagination. But, Priyanka has taken painstaking efforts in connecting us with the off screen star persons inside the Bollywood stars we see on screen. 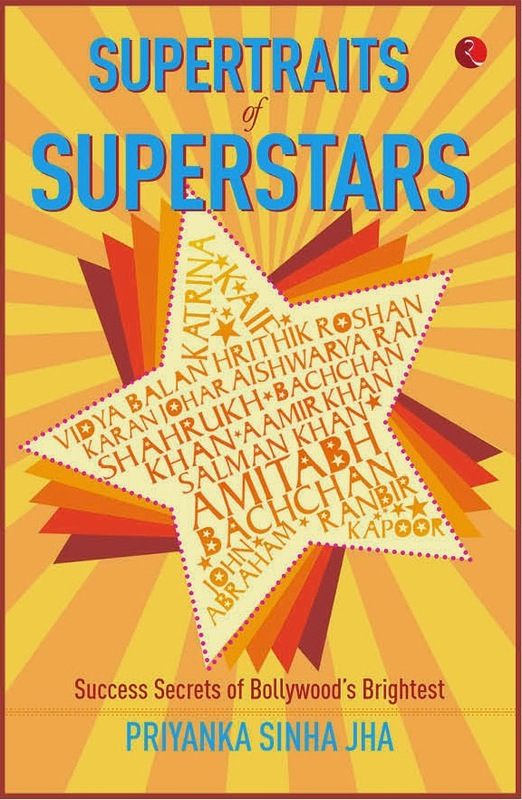 The book gives a beautiful account of the hard work and determination (and may more supertraits) of eleven Bollywood superstars(Amitabh Bachchan, Shah Rukh Khan, Vidya Balan, Aamir Khan, Katrina Kaif, John Abraham, Ranbir Raj Kapoor, Aishwarya Rai Bachchan, Hrithik Roshan, Karan Johar & Salman Khan). After having read the book, I can say I have been introduced to the people I never knew! These are people who take their craft seriously to survive in an industry where new competition comes in every Friday and one has to do the right thing at the right time to remain unfazed in the minds of the audience. For instance, did you know Amitabh Bachchan’s unfailing punctuality has always given his Directors sleepless nights since they worry about reaching the sets on time themselves? Often been the first one to report on the sets of his films for even morning shifts, he utilized this time to water the plants etc! Shah Rukh Khan repeated a particular action sequence in Ra.One till he got the perfect shot, despite suffering from a knee injury. After Qayamat Se Qayamat Tak released, Aamir Khan would go into the projection room of the Gaiety Galaxy film theatre in Bandra to observe the audience’s reaction during various scenes – one of the many traits that has made him the epitome of perfection and excellence in Bollywood. The strong, determined artist behind the beautiful babe Katrina Kaif – do you know she has been brave enough to offer creative opinion to her Directors even as a newcomer, since one has to take risks to get the returns. While shooting for Rockstar, Ranbir Kapoor spent time with a Jat family and went shopping with them for the jeans he wore in the film, all as a part of understanding the character (Jordan, aka Janardhan, a Jat boy) better. As a newcomer in Bollywood, Aishwarya Rai Bhachchan negotiated her own deals and contracts, pretending that she had a lawyer who was putting down the terms and conditions! 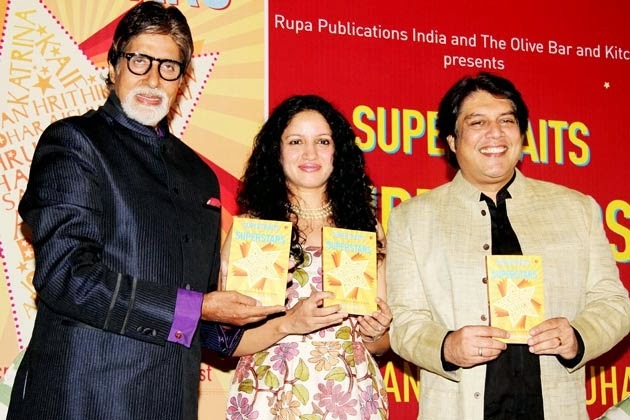 The book also tells the story of a skinny, under confident Duggu with a speech problem who worked his way very hard to give us the Hrithik Roshan of Bollywood. Salman Khan’s inherent generosity that he has displayed time and again since childhood. These and many more incidents have been beautifully captured by Priyanka. Of course, her tryst with media has come in handy, but she too has displayed her craft well – after each chapter, there is a summary of the qualities displayed by the personality on the long road to success. The language is simple and each chapter is decorated with famous anecdotes which make the book a pleasure to read. After finishing the book, my immediate reaction was “when do I read a sequel to the book?” For a Bollywood crazy person like me, eleven stars are not enough. Farhan Akhtar, Akshay Kumar, Madhuri Dixit…my wishlist is endless! I hope Priyanka comes up with a part-2 soon! Needless to say, it’s a 100% recommendation from my side, if you share a passion for Bollywood! Priyanka Sinha Jha is a journalist who, in her eighteen year-long career, has written on celebrities, films, lifestyle, business and more. She has been a correspondent for publications as varied as Citadel, The Asian Age and Intelligent Investor. At the age of 26, she became the editor of Society, India’s first celebrity magazine, followed by a stint as editor of HT Style and HT Saturday. Currently, she is the editor of Screen, India’s foremost film and entertainment weekly. She has also contributed to Outlook, The Week and Tehelka, and has a regular column in the Indian Express: Play. Between analysing celebrities and earning her daily bread, she likes to travel to unknown destinations, watch films and argue endlessly on egalitarian issues with friends and family.